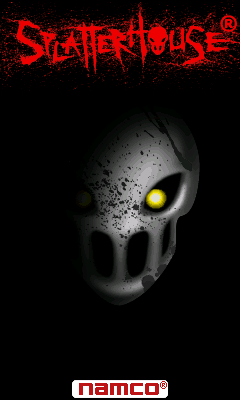 The bone chilling horror series comes to mobile in Splatterhouse by Namco. Control Rick as he travels through The West Mansion and try to survive the chaos that he encounters. Hack and slash Zombies, Bats, Demons, and other gruesome monsters trying to stop Rick from rescuing his girlfriend. Pickup weapons to help you throughout Rick's demonic journey. With multiple difficulty levels and different paths to choose from, the excitement never ends!